Find Me Gluten Free helps you eat gluten free. 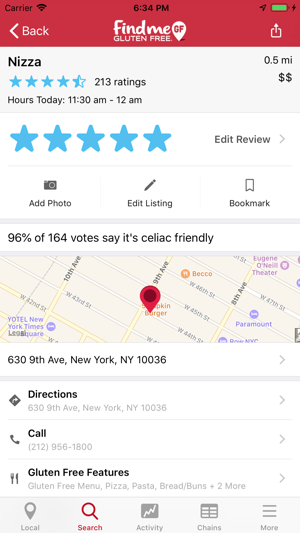 No need to hunt for a review of a restaurant that mentions eating gluten free. 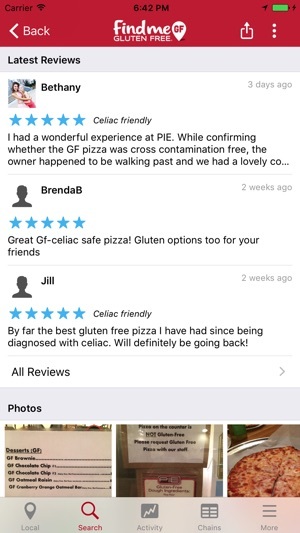 All the reviews on Find Me Gluten Free are from other members of the gluten free community. I love this app so, so much! As a teen with Celiacs, planning trips with friends and where to eat on vacations can be extremely difficult. Not to mention my family moved to a whole other state and we were unaware of the options around us, and all of our other family lives back where we moved from so car trips are made often. We would be somewhere during dinner time, and they would always ask me what i wanted to eat, and i would always say “I don’t know. What is there?” And then the frustrating, 15 minute process of finding a fast food restaurant nearby that everyone wanted to eat and that had gluten free options, began. Everyone would be tense and we would normally have to stop at different places. Then i heard and found out about this app and everything changed. I tell my parents places nearby that me, my little brother, and my parents would all agree on and for the most part, everyone is happy. So this app made those long car rides easy and not as much frustration and not as much time was wasted on finding somewhere to eat! Love it, thank you so much! I have wheat allergies, and my son is Celiac. I travel a lot, and we travel as a family fairly often, too. 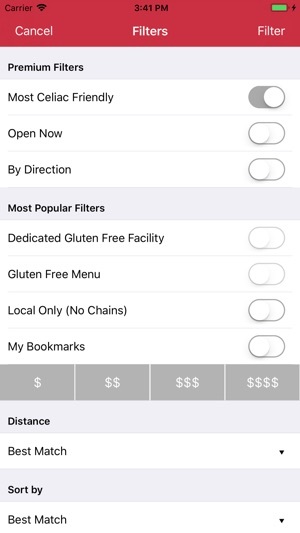 We use this and the gluten-free filter in Zomato to find places to eat all the time. 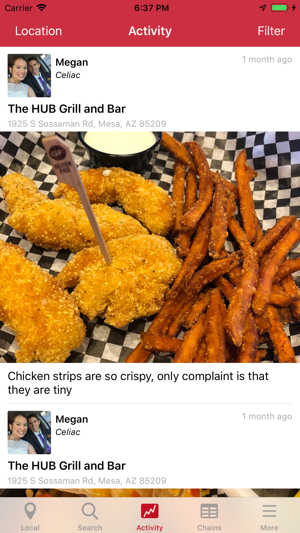 Several years back, when Infirst started using the app, I wished the search functions in Find Me GF were more robust, and more restaurants were entered in the app. That has changed over time, as more users have entered locations and reviews. It is the first thing I go to, particularly when I travel with my family. The great thing is that it is completely focused on gluten issues, and reviewers often say either "I'm Celiac and had no problems" or "I had trouble, afterward". 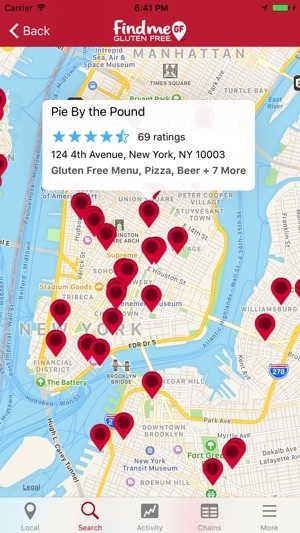 Zomato is great for searching dozens of ways, but gluten-free is just a box you can check. I often feel that people who know nothing about GF issues just check the box because they saw something GF on the menu. It will get you headed in the right direction, but Find Me GF is the one to use to find the GF places that know how to address out issues. I have been gluten free for about 2 years for health reasons. This has made traveling and dining out a challenge. More planning and less spontaneity, especially when going out with others. 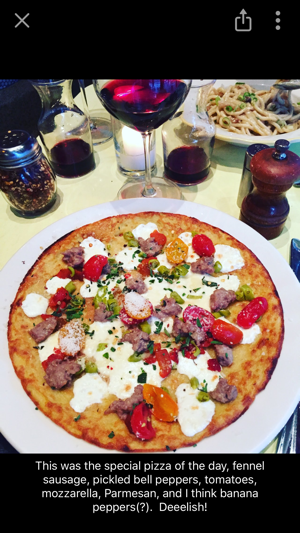 My husband and I had a trip planned for out of state so I started researching gluten free restaurants near our destination. 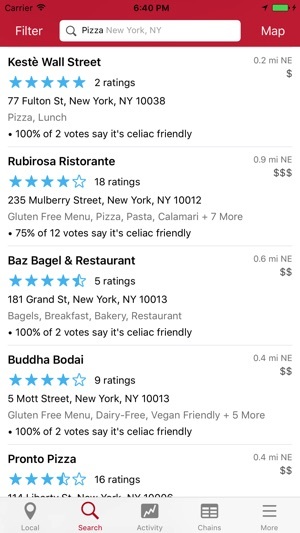 “Find Me Gluten Free” reviews kept popping up so I decided to download the app. I was able to easily find 5-6 restaurants walkable from our hotel with gluten free options. We visited 3 of them this trip and I was not disappointed with any of them. I left reviews for all of them with the hopes of making things easier for the next traveler in my situation. In the past I’ve had to walk out of restaurants due to lack of knowledge of the staff. It’s always embarrassing and inconvenient. 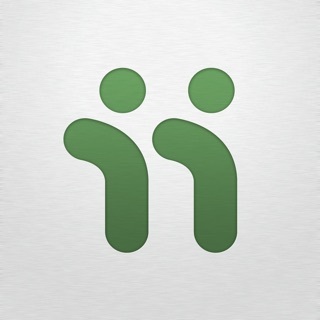 This app has saved me from this and made my trip much more relaxing! I will be using it on a regular basis for myself and for others.